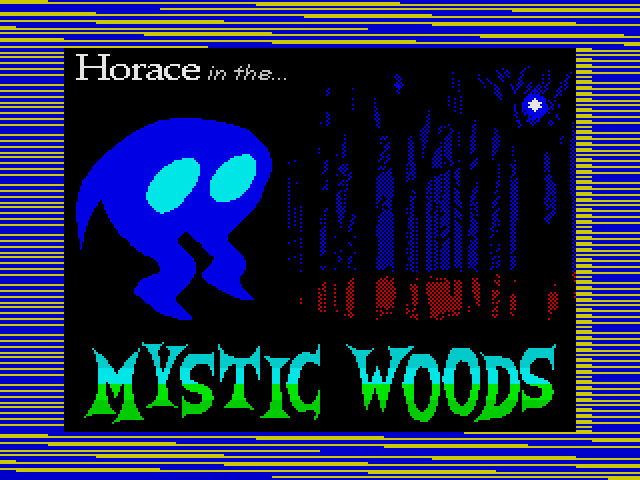 Once upon a time, a little creature known as Horace wandered too far into the Mystic Woods. 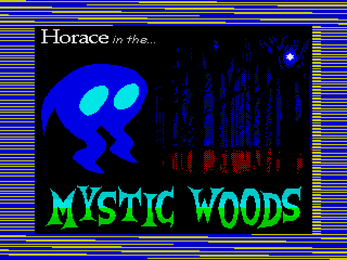 The Mystic Woods, being what they are, shifted and moved until Horace was really lost. Horace is afraid that he will never get out and so has called for your help to aid in his escape. The woods will spring many surprises on you. 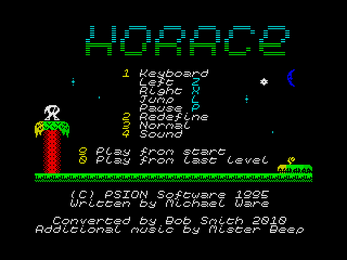 It will take all your wits and agility to help Horace get home. 64 terrible areas await you, can you help him? 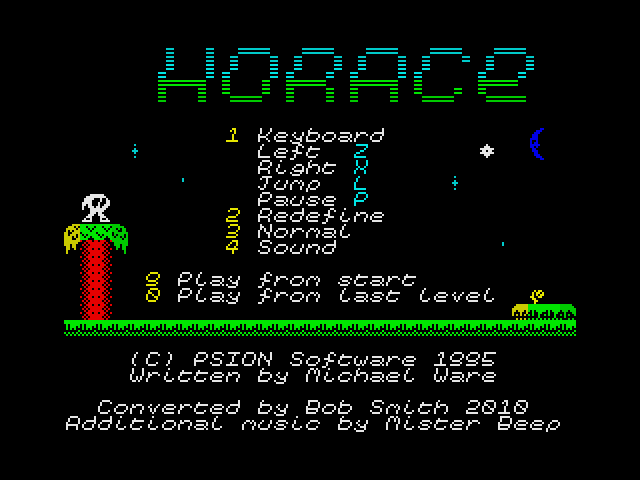 Originally released in 1995, Horace in the Mystic Woods was released only for the Psion-3 series of palmtop machines. 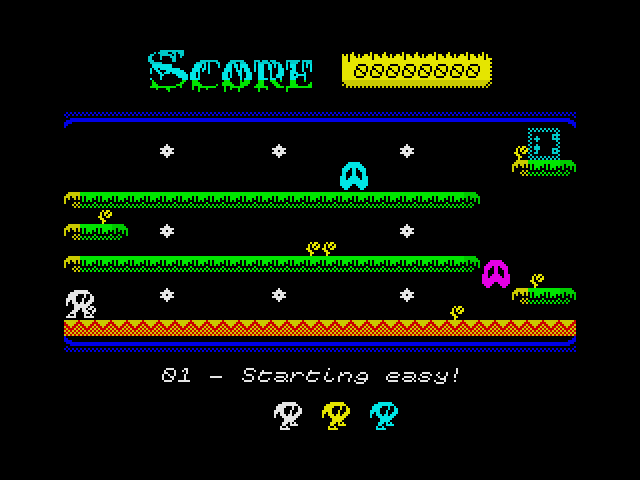 Fifteen years later, armed with the original source code and graphics, I'm trying to bring Horace back to his spiritual home on the ZX Spectrum, where his adventures first began. 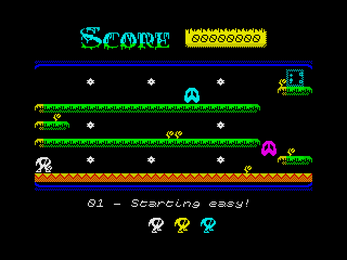 This is not a modern-style "re imagining" of the game, but a warts'n'all remake where I'm trying to keep the gameplay as close as possible to the original game, whilst expanding the graphics for the new (old!) platform.